With temperatures already in the high 80’s (that was quick, wasn’t it?) this might have to be the week of salads. They are so good and refreshing this time of year, and can make for such an easy dinner. When we were in California, I needed some breakfast for the early flight home. So, I picked up a Mediterranean chicken salad at a local store the day before and it was a great breakfast, believe it or not! Anyway, I finally got around to trying to replicate it and it was a huge hit in our family, even with my olive-hating husband. He actually said, “please make this once a week.” I couldn’t believe it. 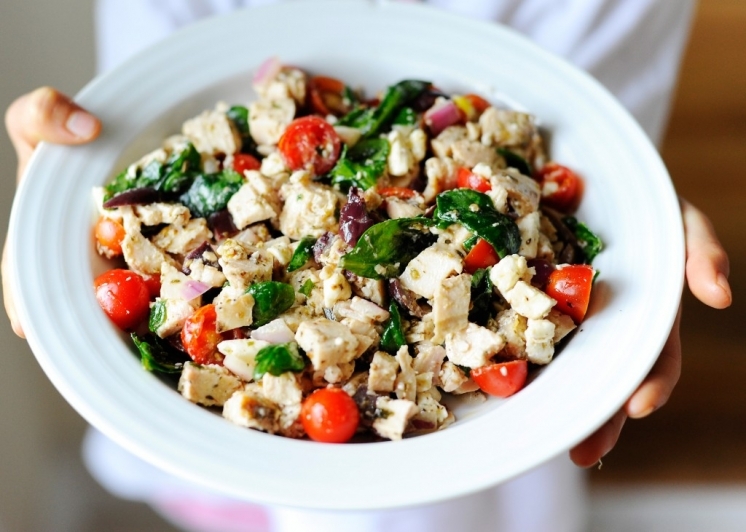 Cut up tomatoes, chicken and onions and olives and put in a large bowl. Add in the feta and stir all together. In a small bowl, use all of the dressing ingredients and mix well. Add the dressing to the large bowl and stir well. 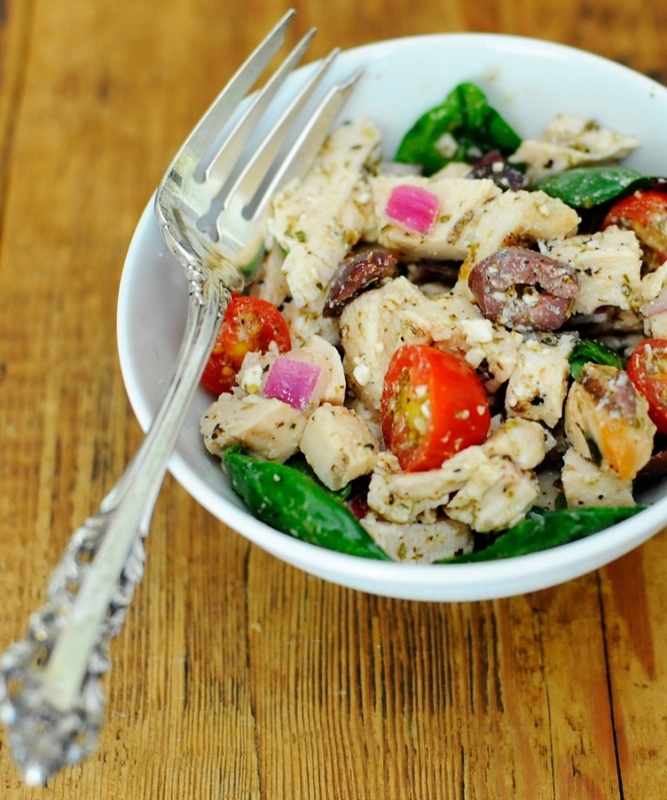 Finally, toss in a handful (or two) of spinach and enjoy! If you don’t use too much spinach, it saves really well for leftovers. justin - I absolutely LOVED Whole Foods Store Mediteranean Salad and found this when I googled it on line. What does 1/4 EVOO mean? I know it means Extra Virgin Olive Oil but how much is “1/4”? Cup? TBS? TSP?